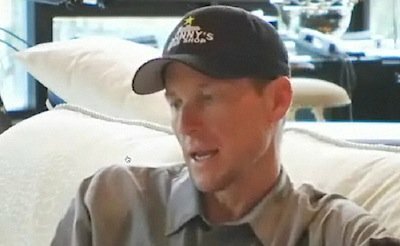 In this excellent VeloNews interview with Lance, Armstrong talks about the tour, and who is really the boss of Astana. Short answer, no one. In a scenario that’s played out in the Tour before, Armstrong admits that the leadership isn’t exactly certain, and that he needs to respect the Tour protocols and let Contador give it his all. I sense, each time I hear one of these or read about this, some real angst about the issue of the leadership. At about 1:47 the interviewer pushes Lance on this sensing the same odd hesitation. His reply “I go out every day and ride with the thought that I’m going to show up as fit as I can, in order to win….” “Before number six and before number seven, I was confident… I don’t have that confidence now.” It’s a far mellower Johnny than he’s ever been, but I think that he’s repressing some real conflict with the team dynamics. He goes on to talk about how he doesn’t know what’s going to happen in the Tour. And I’m so happy to hear that, because wins number six and number seven were some of the dullest professional cycling I’ve ever seen. I can’t wait to see a tour with so many champions fighting it out–can’t wait.